Your Interior Design Meath based shopping experience, furnishings, paints, fabrics and accessories that can help bring warmth and comfort to your home or a welcoming environment for your clients in your work space. No matter what your budget, if you have taste you will find the perfect up-lifting colour, accessory or furnishing to fit your space. Ebony Rose Interiors brings you the latest trends in Paints, Curtains, Furniture, Fabric, Wall-paper, Accessories, and Design so that your space brings you the peace, tranquility and warmth for which you have worked so hard. Ebony Rose Interiors brings you the colour and style you need to enhance you work or living space. Ebony Rose Interiors is driven by a passion to help you create a healthier and more aesthetically pleasing environment. Ebony Rose Interiors brings out the very best in interior design, if you are giving your home or favourite room a make-over for a special occasion or a much earned pick-me-up, or you are about to bring important clients into your work-space then you should visit Ebony Rose Interiors and see what they can do for you. 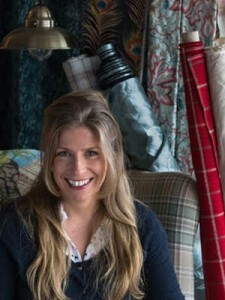 Ebony Rose Interiors is the creation of Hayley, a much respected Meath Entrepreneur who is driven by her personal and professional passion for style and design. While Interior design is a multifaceted profession that includes conceptual development, space planning, and execution of a design, Hayley has proven with Ebony Rose Interiors that there is a design for every budget and a budget for every design. If you simply want to up-lift a room with a well-designed cushion or new curtains, or if you want to reshape the experience of your interior space, Ebony Rose Interiors will help you with that choice and process.